The original plan had been to head out of Beadnell for the wreck site of the Somali but a combination of a very stiff westerly breeze and a few reliability issues with the RIB electronics soon put paid to this plan. 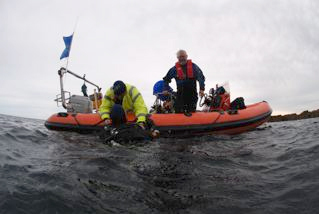 Instead, after a quick revision of plan, we headed down the coast to find the wreck of the Balleycotton off Embleton, as a number of the dive party had not dived this site before and its position closer to shore and in the lee of the Out Cars reef offered better protection from the prevailing breeze and swell. After quite an uncomfortable and wet ride down the coast through the short sharp chop we located the area of the wreck and dropped the shot line. Not much of the Bally cotton now remains but it never the less still provides a good rummage dive and has a scenic boiler and winch to explore. Heading out along the edge of the Out Cars reef we also encountered a number of seals who appeared to be snoozing in various cracks in the reef as well as under the shelter of rocks. Some of these seals also appeared to be heavily pregnant judging from their swollen stomachs. 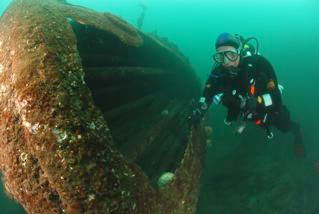 Once everyone was recovered the RIB headed back North and we tucked in behind the lee of Beadnell Point for a quick second dive on the wreck of the Yewglen. Dropping into the water one was immediately taken back by the impressive underwater visibility of around 15m plus. 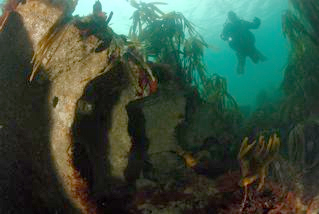 The kelp which usually covers this site had also appeared to have died back exposing areas of wreckage which most of the time is hidden from view. 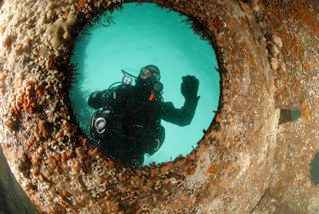 This site also has the advantage of being shallow enough to provide excellent bottom time for second dive on air. 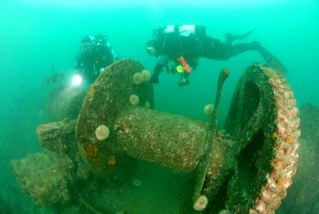 We soon came across the boiler plus assorted rusting debris from the wreck along the edge of the reef situated immediately off the Point reef . Swimming north we also came across bottom plates and assorted box sections of metalwork as well as an old winch. All in all an excellent days diving was had by all.